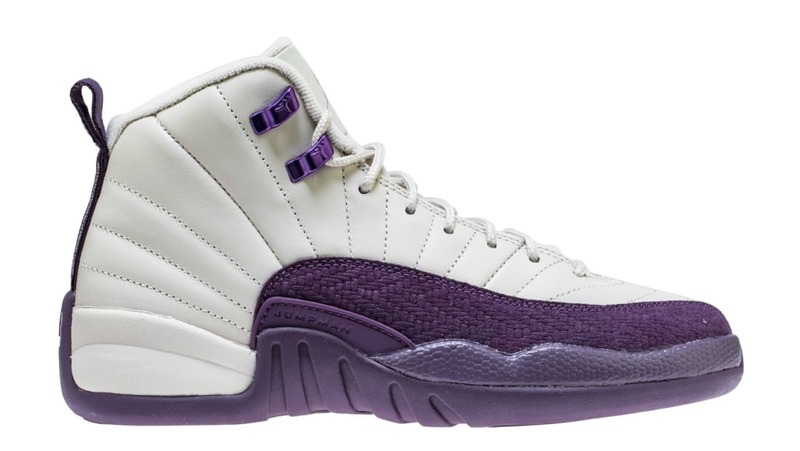 A kids exclusive colorway, the Air Jordan 12 opts for a beige leather upper, with hits of metallic purple on the eyelets. The purple hue continues onto the tooling with a tweed-like material on the midsole. Release date is Nov. 17, 2018 at a retail price of $140.